What cooking classes do we offer ? 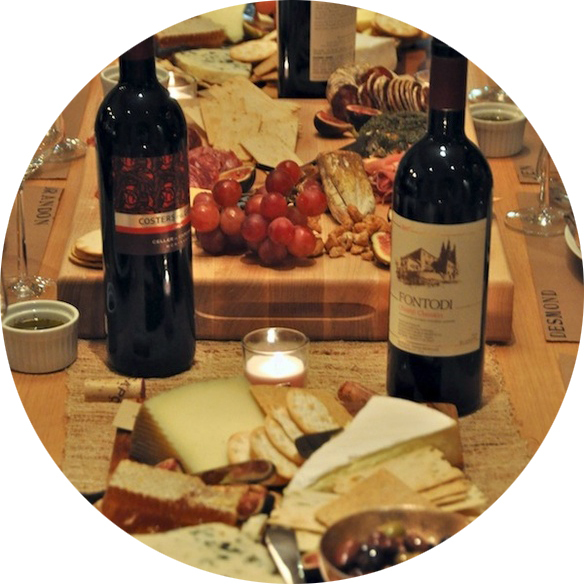 All our cooking classes are designed to help you acquire essential French cooking techniques, have fun in the process and - of course - discover French culture through storytelling! hands in ... the dough. There is no avoiding getting dirty when you cook pâtisserie. But at the end it is mostly sugar, butter or chocolate we are talking about. So it's not so bad, is it? Check our Cooking Classes availabilities ! 2 hours to discover the 5 most important French wine regions, the 5 big French cheeses families and experience their best. Learn to sabre Champagne. Hear great stories. Packed with tips, tricks, great tastes - and frankly quite a bit of fun as well. Visit a local Market, learn about French cheeses (and eat some), learn a dozen French cooking techniques, prepare a scrumptious meal, and dive into French culture. 6 hours of pure delight for French Food and Culture lovers! Learn a dozen French cooking techniques, prepare a scrumptious meal, and dive into French culture. 6 hours of pure delight for French Food and Culture lovers! 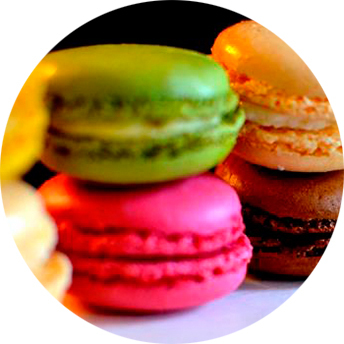 For 2&1/2 hours, learn how to make Parisian macarons with the best meringue. Discover the secret to 2 or 3 terrific fillings. Totally hands-on; fail proof recipe. Followed by 30 minutes teatime with Stories. And you take a box home with you! 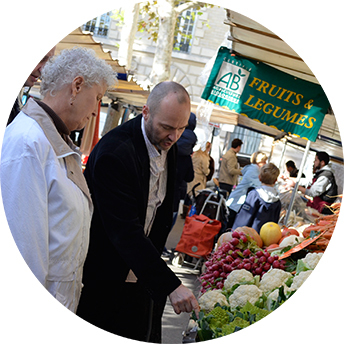 Visit a local Market, learn a dozen French cooking techniques, prepare a scrumptious meal, and dive into French culture. 6 hours of pure delight for French Food and Culture lovers! Master six to ten French cooking techniques, prepare a scrumptous meal, and learn a ton about French culture. 4&1/2 hours of pure delight for French Food and Culture lovers! Learn how to make the Parisian Baguette, Brioche and Ciabatta. Taste your own freshly baked bread with French cheese, jam and then cook a true French Toast as well! 4 hours of pure delight. In 3 full hours learn all the steps to make the incredibly delicious Croissant – and its cousin, the Pain au Chocolat. Totally hands-on and fail proof recipe. Followed by 30 minutes teatime with stories! And you take a box home with you. Learn how to make delicious French croissants and chocolate croissants from scratch. Master the art of the Choux Pastry Dough, Chocolate and Vanilla Cream fillings and Chantilly. The basis for Chocolate Eclairs, Cream Puffs, Profiteroles and much more! Taste them all at teatime, and leave with a box full of them.